Holla!! It's January. I feel like time is going SO fast!! It'll be summer before we know it! Anyway... Are you loving the new Mini Catalog? Hi. Hello. 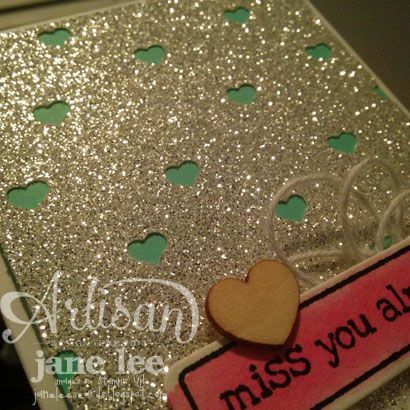 I am in love with the new wooden embellishments AND the word bubble framelits. 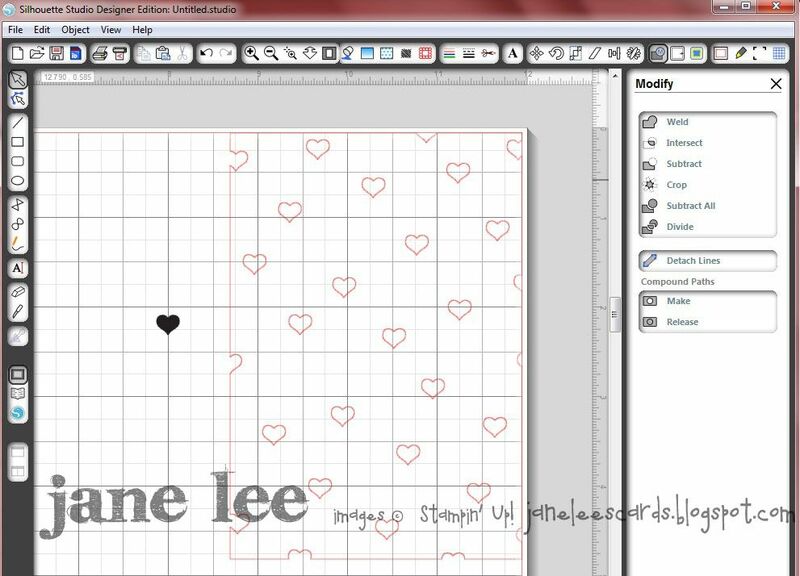 Create a rectangle that will be the size you'd like your top layer to be cut. Mine is 3.25" x 4.75". Import the heart from the Bookstagram MDS download into your program. Resize your heart to be .25" wide. You should have a red outline around your heart. You can move your black heart out of the way. Click the red outline of the heart and create several duplicates. I just placed them randomly all over the square. I made sure to have some hearts go outside of the square too. Click the Select arrow on your toolbar. 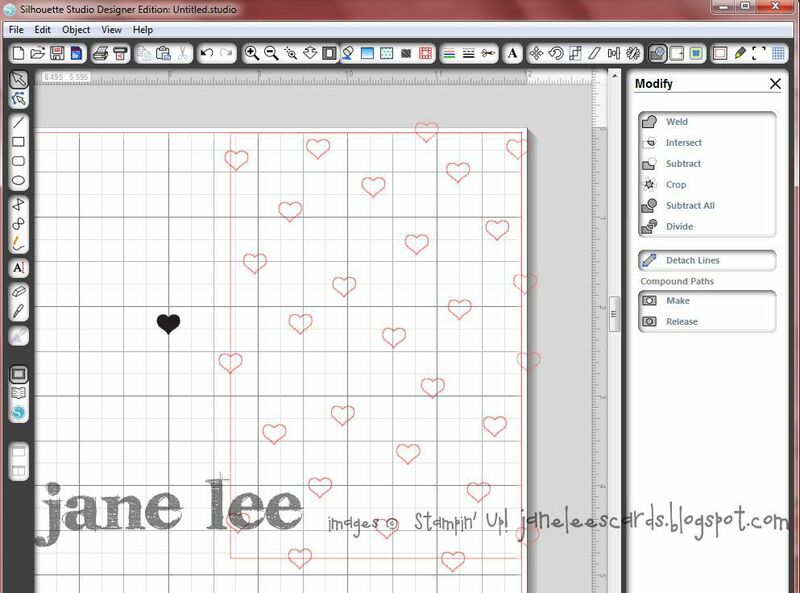 Draw a square around your rectangle with hearts in it. Your rectangle and all the hearts should have outlines around them. Click the Open the Modify Window. Now you can cut your project. If you saw this post earlier you're probably thinking,"Wasn't there some twine on this card that looked like a guppy fish?" Yes, there was, but I had to fix it. I just couldn't stand it. Yay! 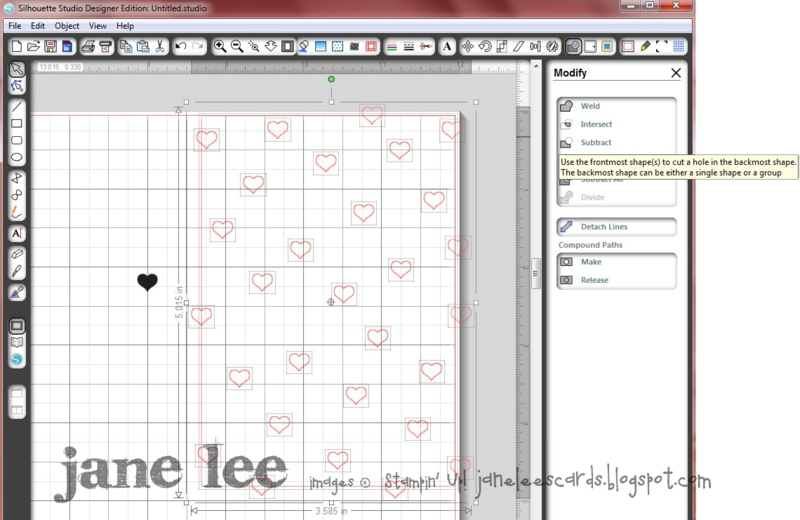 Are you wondering what I did with all the cute little hearts that were cut out? They're on the inside of the card, of course. Oh, Jane! This is just so you and so CUTE. I love everything about it! 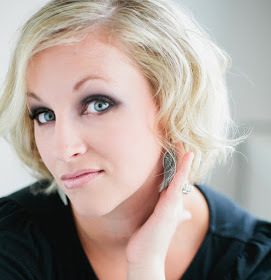 Dearest Sarah, I miss you so much!! Thank you for your sweet comments. Texture! Love it. I didn't put an e-cutter on my Christmas list; not sure I can wait for my July BD! Jane, I love this card. What a fun way to use your e-cutter! This is so cute! !